This is a continuation from yesterday's post on Ah Meng Kopi. 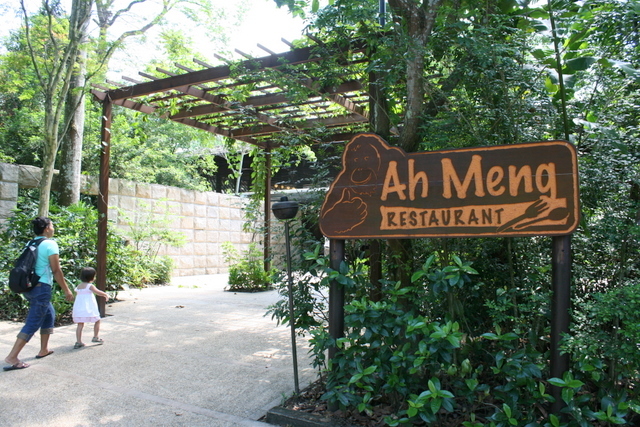 The grand dame of the Singapore Zoo is fondly remembered at two new eateries there. 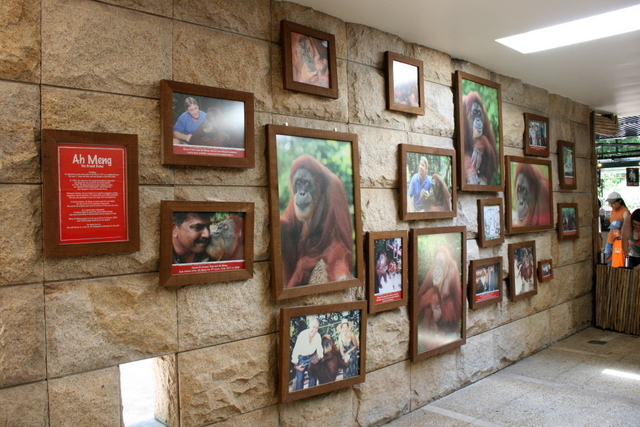 At Ah Meng Restaurant, there is a wall of photos lovingly chronicling the highlights of the orangutan's life at the Zoo. There's also a wall of press clippings at the other end of the outdoor seating area. 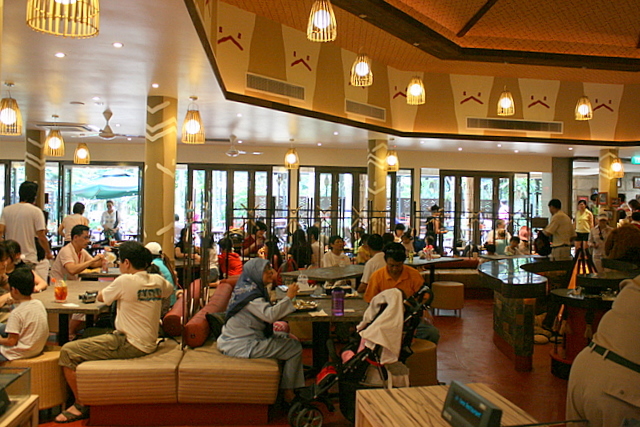 The restaurant itself is a casual, tribal-themed eatery with cafeteria-style self-service stations (a bit like IKEA's restaurant). There is an air-conditioned area (guaranteed to be full on weekends!) and lots of al fresco seating. The staff, dressed up as wildlife park rangers, were friendly and helpful (they immediately offered to get us baby chairs even before we sat down). They were also diligent and efficient at clearing tables. I chanced upon the Assistant Manager, Angela, who went out of her way to help us with our orders and made sure we were well-attended to. Thank you, Angela! You pick up what you like and pay at a cashier. 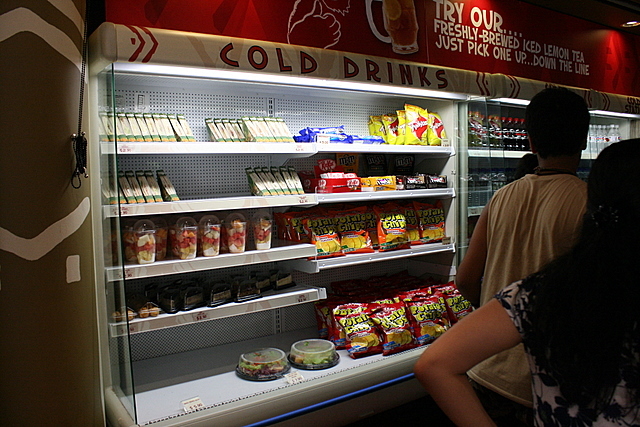 Upfront are some cold selections - pre-packed sandwiches, fruit, salads, candy, desserts and drinks. 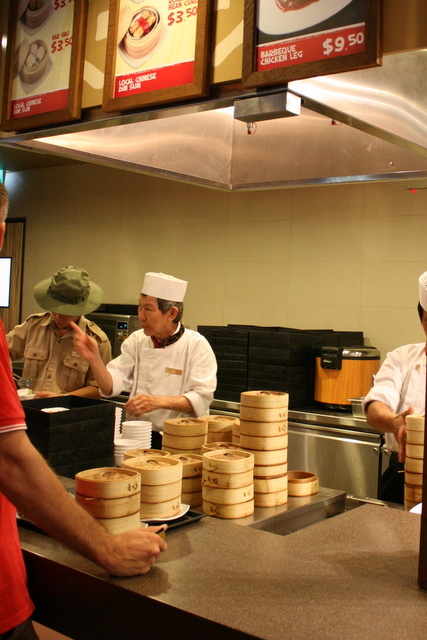 The hot stations serve a variety of food, and there's bound to be something for everyone. 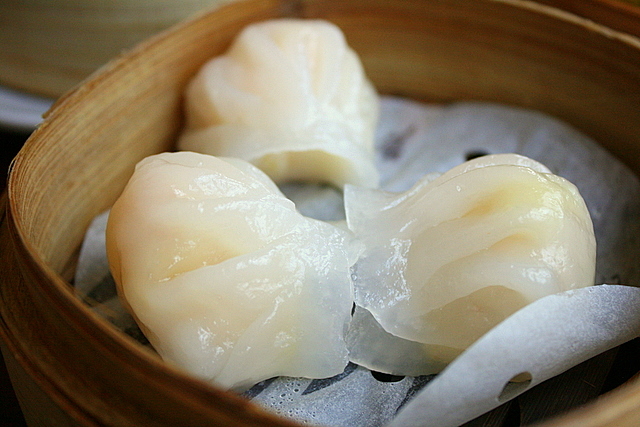 I seem to be in a bit of a dim sum phase, so I couldn't help trying some of these, even though I knew they would not be the same as what you'd get in a Chinese restaurant. There's no pork or lard here, so the main meat for the dim sum is chicken. The chicken-shrimp siew mai (S$3.50) was a pleasant surprise. 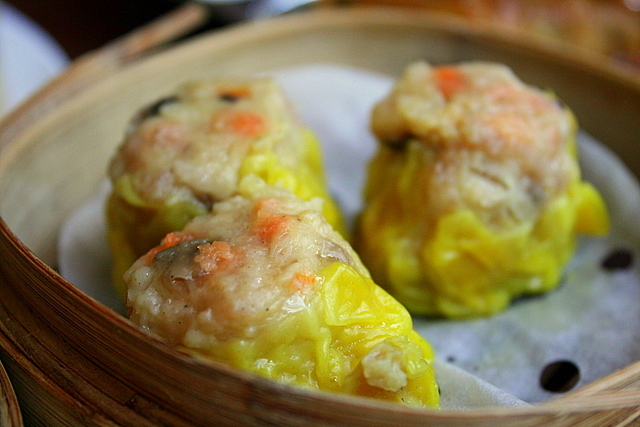 Finally, a chicken siew mai that's actually more than edible! It's probably more got shrimp than chicken. Anyway, it makes a good protein snack that isn't deep-fried, for the kids. The har gau or shrimp dumpling (S$3.50) did not fare so well. The skin is a little thick and floury (probably done so to withstand the continuous steaming). 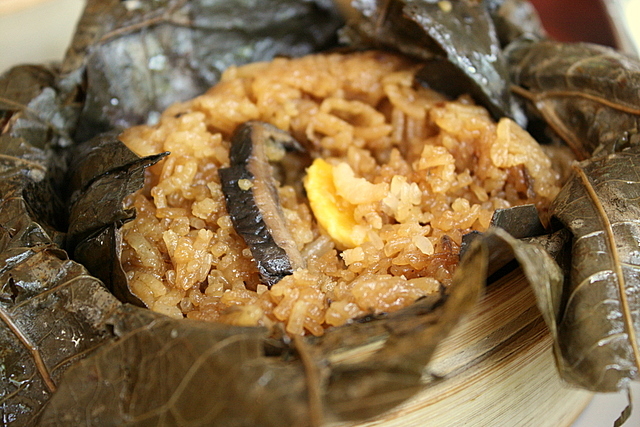 Glutinous rice in lotus leaf (S$3.90) with bits of salted egg and sliced dried mushrooms. It's mostly rice, but has enough flavour. 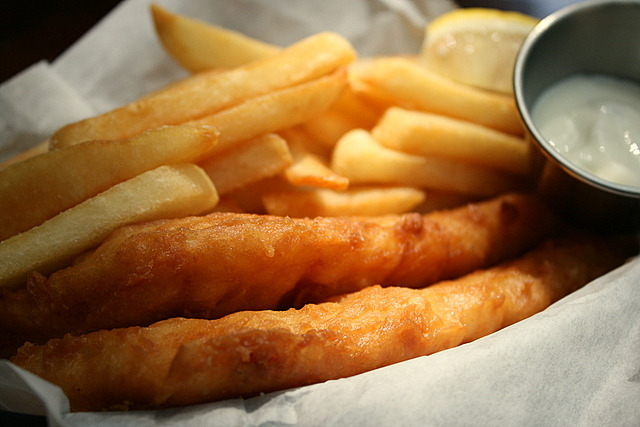 The fish and chips (S$8.90, I think) were gorgeous. Two slabs of nicely battered fish fillets that stayed hot and crisp for a good length of time. I think we liked this best of all. 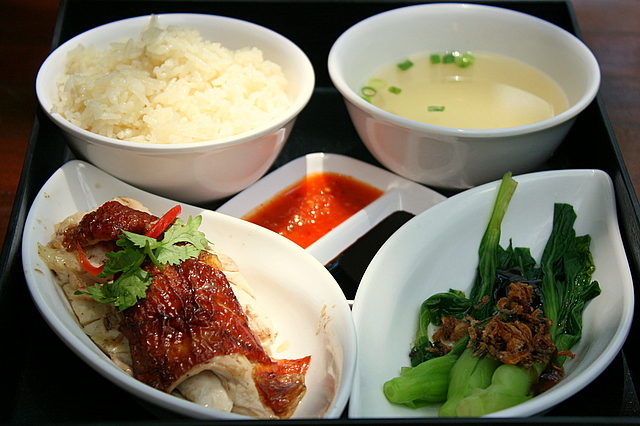 Hainanese chicken rice set (S$8.90). You can choose either white steamed chicken or roasted chicken. I think there's even a porridge option. I think by the time I finished all photography, this got cold. Jolie enjoyed the rice though. 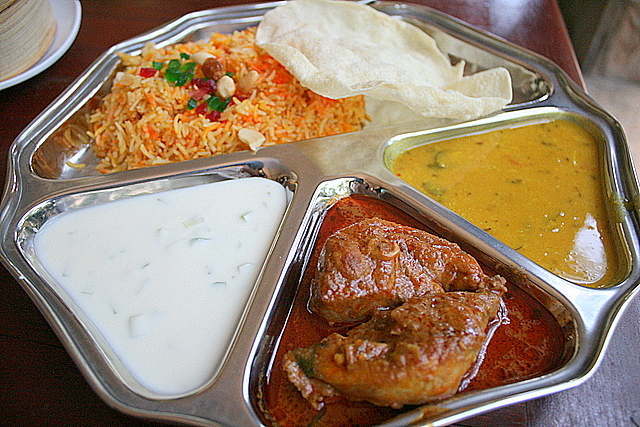 The chicken briyani set (S$8.90) does indeed come with fluffy rice. But the chicken was very mild in flavour. Perhaps to cater to tourist tastebuds? The dhal was more tasty, and complemented the rice well. The raita is extra creamy - it's likely full-fat yoghurt there! 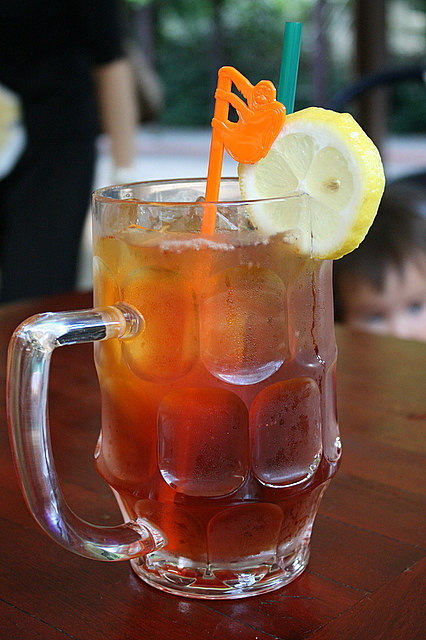 What we all enjoyed very much was the freshly brewed ice lemon tea (S$3.50). On a a hot, sweltering day like this, it was an ice-cold godsend. Comes in a HUGE mug, complete with cute orange orangutan stirrer. You can keep this as a souvenir. I'm glad the zoo now has more eateries and options beyond KFC and Pizzafari. Actually I think there's enough demand to support more. You can really work up an appetite walking around and exploring the zoo. 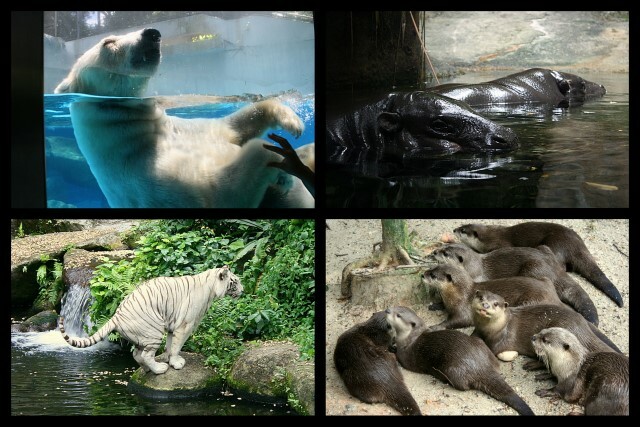 Again, hearty thanks to the Zoo and its agency for inviting us. We had a lovely time. Zoo animal photos on my Flickr set. i love cafetaria-style eating places like this (and IKEA) but the queue at IKEA can get quite damning at times!! Evan: haha, thanks. Really tempted to get a macro lens. Maybe for my 2nd blog anniversary...hmmm! Oh gosh, yes, the queue at IKEA on weekends is impossible! Finally, some affordable and decent food at the zoo! Next time, I don't have to pack our own picnic for our zoo outing! :) I remember the queue at KFC was very long too, cos the other option was the restaurant which charged local food at hotel prices. Imagine the bill for families or large groups! Julia: oh I didn't know the previous restaurant was so pricey! I just never ate at the zoo! LIC: haha, try lah, who knows you may get dozens of fair maidens vying to win your heart! My second anniversary will be in May, just 3 months younger than yours lah. I've actually had my DSLR less than a year but I agree the macro lens is way overdue. Cruel and delicious punishment first think in the morning! Particularly the steamed dumplings!!!!! Can we see tiger through the window in the restaurtant? Cos my taiwan's friend ask, as he saw the adv over there. And I was like HUH? got meh? I have not been to the zoo since I was a little kid! Meg: they're best eaten in cold weather, like yours! Anon: no, I didn't see any tigers through the window. The restaurant is next to the elephant rides though. K-man: yes, it's the zoo - time to go see it again! Babe_KL: the restaurant is fairly new, they opened just last year, not sure when. Thanks! Noobcook: I didn't know either, until they contacted me! Yes, I keep hearing that food was previously expensive at the zoo...I have never really eaten there previously.